David Collins defeated Michael Pearson 509 – 429 in the final of the inaugural Illawarra Open. For full results see here or here. 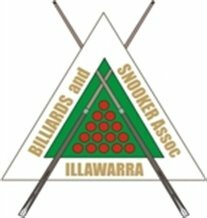 The 2016 Illawarra Open Billiards Championship took place between Friday 19th – Sunday 21st August 2016. This was a level 2 World Ranking tournament with $3000AUD prize money. This tournament carries both full Australian National ranking points and x0.75 World Ranking points.